A widely recognised and dramatic cultural change over the last two generations, in the UK and many other modern, urbanised and technologically advanced countries, is the change in children’s life experiences. The generation of ‘baby-boomers’ born just after World War II experienced a childhood in which they played out in the street or in the local fields and parks, in groups of children often of very mixed ages. This relative freedom and experience of free play and unstructured time has now very largely disappeared. As I have noted in The Importance of Play, it is currently estimated that around half of all children world-wide now live in urban settings, and experience very reduced opportunities for free play, and particularly free play outdoors, and in natural environments. And as documented in the Cambridge Primary Review final report (pp 53-62), parental concerns about traffic, ‘stranger danger’, germs, disease and so on, have resulted in children’s home lives being structured and supervised to an extent which would have been regarded as bizarre only a couple of generations ago. This is not simply a romanticising of the past, but is a cause for serious concern. The anthropologist Peter Gray has demonstrated that the loss of free play opportunities for children over the last 50 years has been accompanied by alarming increases in children’s mental health problems. There is also good evidence that rich play opportunities in the home support children’s transition into school. A recent study by the developmental psychologist Jane Barker in the United States, for example, showed that the more unstructured time children had while out of school, including both indoor and outdoor unsupervised free play and family excursions to settings such as the seaside and museums, the better their ‘executive functioning’ – a crucial set of cognitive skills that support children’s abilities to concentrate, to maintain their attention on task, and that are consequently highly predictive of academic achievement. In the UK, a study led by Claire Hughes found that the strongest predictor of language and cognitive development among children at the point of starting school was an item completed by their teachers indicating that the child ‘talks about fun activities at home’. However, we know that the stresses of urban living, particularly for those living in poverty, often significantly reduce the amount of fun and playfulness in the home context, and it is clear that this loss of play experiences in children’s early years reduces their preparedness for school. Tragically, however, in direct contradiction to all the evidence, the trend in UK education policy has been in completely the opposite direction. In the name of ‘raising standards’ and ‘increased rigour’, today’s young children in nursery and primary schools in the UK, the USA and some other developed and developing countries, are being subjected to a long-discredited curriculum which emphasises learning facts at the expense of developing the skills and dispositions that support children in becoming powerful, confident and enthusiastic learners. Many commentators have rightly expressed concern that, at the start of the 21st century, when, more than ever, we need to be educating our children to be creative problem-solvers, innovators and confident, adaptable learners, this is a totally counter-productive situation. Among the many other concerns about this current direction of travel of education policy for our youngest children is the loss of teaching approaches and learning opportunities grounded in activities which are playful. In the UK, opportunities for young children to learn through playful activities are now almost or completely absent from Year 1 onwards in many primary schools, and under increasing threat in Reception classes and even pre-school settings. The current accountability regime, and the relentless, high-stakes, formal testing of even our very youngest children (baseline assessment at age 4, phonics test at age 6, and the threat of the re-introduction of KS1 SATs at age 7) have seen to that. While there is much that we still do not understand about how play supports learning and mental health, the evidence of its benefits for a number of areas of development is unequivocal. As I have reviewed elsewhere this evidence comes from a wide range of anthropological, neuroscientific, psychological and educational studies. From anthropological studies of children’s play in extant hunter-gatherer societies, and evolutionary psychology studies of play in the young of other mammalian species, it is clear that play is an adaptation which evolved in early human social groups that enabled humans to become powerful learners and problem-solvers. Neuroscientific studies have shown that playful activity leads to synaptic growth, particularly in the frontal cortex, the part of the brain responsible for all the uniquely human higher mental functions. Studies in developmental psychology have shown that a playful approach to language learning, as opposed to formal instruction, offers the most powerful support for the early development of phonological and literacy skills. Play has also been shown to support intellectual and emotional ‘self-regulation’, a key predictor of educational achievement and a range of other positive life outcomes. 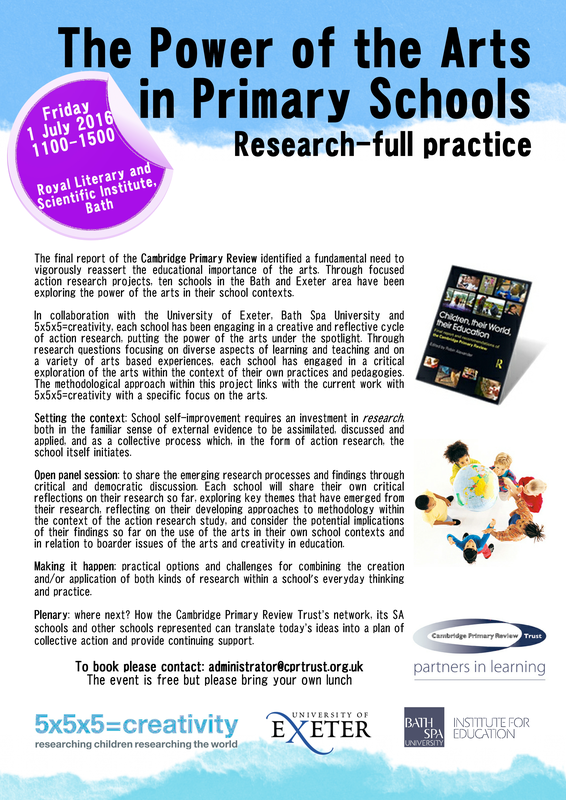 Within educational research, a number of longitudinal studies have provided evidence of long-term outcomes. In a 2002 US study, for example, Rebecca Marcon demonstrated that, by the end of their sixth year in school, children whose pre-school model had been academically-directed achieved significantly lower marks in comparison to children who had attended child-initiated, play-based pre-school programmes. The irony is that, certainly in the UK, much of the motivation for moving towards a more instructional model of teaching at ever-earlier phases of schooling appears to derive from a desperation to match the scores achieved in PISA tests by 15 year olds in countries such as China, Singapore & Korea, where the limitations of this approach are now widely recognised, and where moves are being made to move to more creative and often play-based pedagogies. The development of material-based outdoor play facilities in the Anji district of China is a good example of this kind of development. As a consequence of current UK education policies, our children are amongst the least happy in the world, with worrying increases in mental health problems, and well-informed, inspirational teachers are leaving the profession in droves. The very likely impact of these trends for the quality of children’s education is only too evident. At the same time, however, there are encouraging signs. The crisis in play opportunities, in the home context and in early schooling, is now widely recognised and many national and international bodies are working at the level of policy to develop responses to it. Even in the UK, the All Party Parliamentary Group on a Fit and Healthy Childhood, originally established through concern over the shocking rise in childhood obesity, has recognised the crucial role that play has in supporting all aspects of children’s development, and has issued a specific report on the importance of play for children’s healthy development physically, mentally, emotionally and in relation to school achievement. There is also, currently, an exciting resurgence in serious scientific research attempting to understand the essential components of play, what happens in the brain when we play, how playfulness develops, and what experiences support it, how it relates to other important aspects of development, and in what ways playful activities and pedagogies might be developed in schools. Several recent edited volumes attest to the number of young researchers world-wide who are beginning to take an interest in play as an important topic for enquiry. At Cambridge, the LEGO Foundation have sponsored the Play, Learning and Narrative Skills (PLaNS) project demonstrating the potential of a playful approach to supporting primary school children’s development as writers. We have also now just launched, supported by a further generous donation from the same source, the Play in Education, Development and Learning (PEDAL) research centre, which will be led by an endowed Professorship, and has been set up to conduct rigorous scientific research to address the many important questions relating to the role of play and playfulness in human development. Play is sometimes dismissed as essentially trivial, as something young children do but which serves no purpose and which they grow out of. The evidence we have, however, from an increasingly rich and rigorous research literature, is that play is a fundamental human characteristic which supports our unique qualities as creative problem solvers, as innovators and as a highly adaptive species. Arguably, our culture, our science and our technological achievements all arise, at least in part, from our playfulness. We put our children’s future at risk, and their ability to deal with the many difficulties that the human species will confront through the 21st century and beyond, if we do not recognise the importance of play and begin to develop policies, both in relation to our domestic arrangements, and our schooling systems, that support and nurture their natural and adaptive playfulness. David Whitebread is based at Cambridge University Faculty of Education, where he is acting director of the new PEDAL centre. A mark of a successful primary school career is, according to the Conservatives, the ability to do long division. As our privately-educated Education Secretary Nicky Morgan explained, long division is at the heart of giving ‘every child the chance to master the basics and succeed in life,’ something that is a ‘fundamental duty’ of government. This is interesting for many reasons. Here’s one. Finland, long-time star of the education world, has clearly decided it wants its children to fail. Shockingly, it is deleting long division from its national curriculum and replacing it with coding. The change is part of a drive, says Liisa Pohjolainen, head of education in Helsinki, to provide ‘a different kind of education’. Long division is being cast into the long grass because ‘young people now use quite advanced computers. In the past the banks had lots of clerks totting up figures but now that has totally changed’. All these comments echo the the Cambridge Primary Review final report which argued that ‘primary mathematics escapes the critical scrutiny to which other domains are subject’, and urged teachers and curriculum planners to ‘address with some rigour the question of what aspects of mathematics are truly essential and foundational in the primary phase’ (p271). Long division is neither. It’s not what maths is about. It’s what Tory politicians believe their voters believe maths is about. Hyping up the importance of long division in primary schools is yet another example of playing politics with education – as is labelling schools ‘coasting’ in order to create more academies. Statements of the bleeding obvious, maybe, but bleeding obvious statements clearly aren’t being made often or forcefully enough. If they were, changes that are bad for children and ultimately for all of us would not keep happening. But back to the question of long division and the ethical issues it raises. Do I teach it knowing that I should not? Answer: a woeful yes. My profession is not trusted to decide what maths is best for young children. In that case, how do I teach it? My one year of training did not actually cover long division – or coding for that matter. My Finnish colleagues can, of course, teach both simultaneously while standing on their woolly-hatted heads. I calculate, using my mathematical skills, that this is because that they had five times more training than I did. So, guiltily, I am relieved to discover that the way I was taught in (secondary) school is back in vogue. However, as we know, being able to do something is a far cry from being able to teach it. The CPR final report’s chapter on pedagogy (pp 279-310) makes excellent reading on this topic – as well as underlining the need for ‘teaching to be removed from political control’. But I am under political control so I dutifully draw my bus stop and pop the numbers in. For example, 7,236 divided by 36. I start the mantra: ‘First you divide 36 into 7. Won’t go. So next try 36 into 72.’ Half the class stare at me blankly. ‘They don’t know what you mean, by “into”,’ the TA whispers helpfully. Oh, ok. ‘Let’s try how many 36s are there in 72?’ Still blank. Hmm. ‘If I had 72 sweets to share between 36 children, how many sweets would they have each?’ Hands wave excitedly. I get excited too. ‘Write your answers on your whiteboards, please, and hold them up.’ Oops. The mathematically able children are fine, but the rest hold up a random display of answers: 3, 4 and, bizarrely, 7.6. I catch my TA’s eye. We are thinking the same thing. Back to basics once more for those who are struggling. But I am also aware that Asian maths teaching methods, most definitely approved of by the current administration, expect all children to progress at roughly the same pace. Lessons are repetitive, short and thorough. So do I force my able mathematicians to do what they can already do, over and over again, or do I differentiate by stretching them with more interesting challenges? If only Nicky Morgan would tell me. Interestingly, if you ask Google to search ‘differentiation and Nicky Morgan’ the top hit is a reference to a 2 per cent pay rise for the ‘best’ teachers. Guess that’s not me! Similar questions cloud times tables teaching – another ‘basic’ that holds the key to a successful life, according to Mrs (don’t ask me 7×8) Morgan. Half my class know them inside out and back to front. Another quarter know them if they are given time to think. And another quarter is as doubtful as Mrs Morgan herself. Sometimes I yearn for the hot-house pressure of Singapore, Hong Kong and Korea where parents drill their children in their times tables and demand homework. Children in my class tell me in all seriousness that they have been too busy to do one piece of homework in a week. Perhaps they are right. Hopefully they have been too busy being children to bother learning that the internal angles of every triangle in the universe add up to 180, or that 7×8 is and always will be 56, or that 7,236 divided by 36 equals 201. Conservative politicians also complain that too many children don’t understand fractions. I have a feeling that there might be a reason for this. It goes like this. 1⁄10 of population of the UK controls 1⁄2 of the wealth. Globally 1⁄100 controls 1⁄2 of world’s wealth. Try this one, 1⁄3 of children in the UK live in poverty. Yes, I agree with the government. Fractions are important when it comes to succeeding in life. Stephanie Northen is a teacher and journalist. She contributed to the Cambridge Primary Review final report and is a member of the Board of the Cambridge Primary Review Trust. Read other blogs by Stephanie in CPRT’s recent downloadable collection Primary Colours .